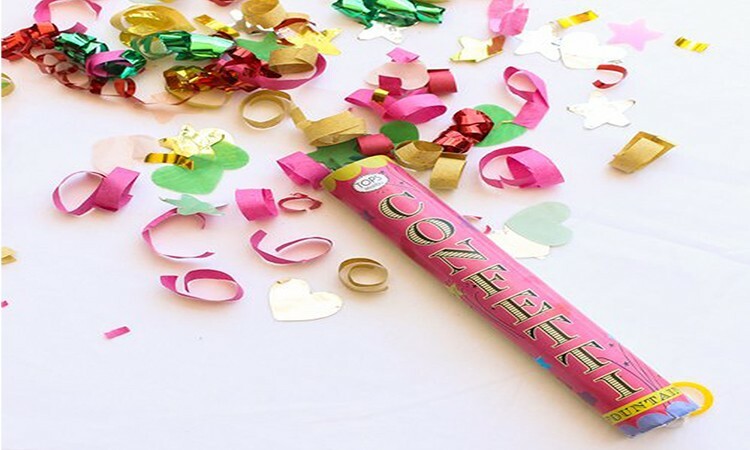 Best party favor, young or old, is Confetti! If you’re looking for a guaranteed crowd pleaser for your next intimate dinner party or big bash, invest in some simple but fun confetti wands for each place setting. Whether you plan a synchronized “pop” or you leave your guests to make festive on their own, you’ll be sure to have lots of laughter from one and all.